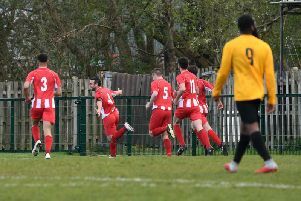 Leighton Town came from behind to secure a much-needed point at Bell Close as they drew 1-1 with Colney Heath. After a fairly even first half, Carl Osbourne opened the scoring for the visitors five minutes into the second period. Leighton though, who went into the game on the back of seven consecutive defeats, battled back and captured a share of the spoils courtesy of a Vincenzo Greco equaliser. Town take on London Tigers at Bell Close next Saturday (3pm).